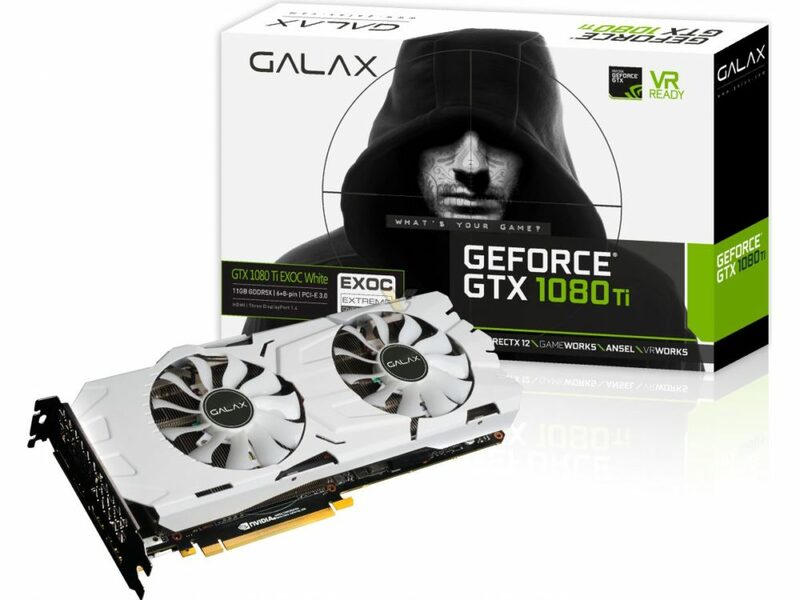 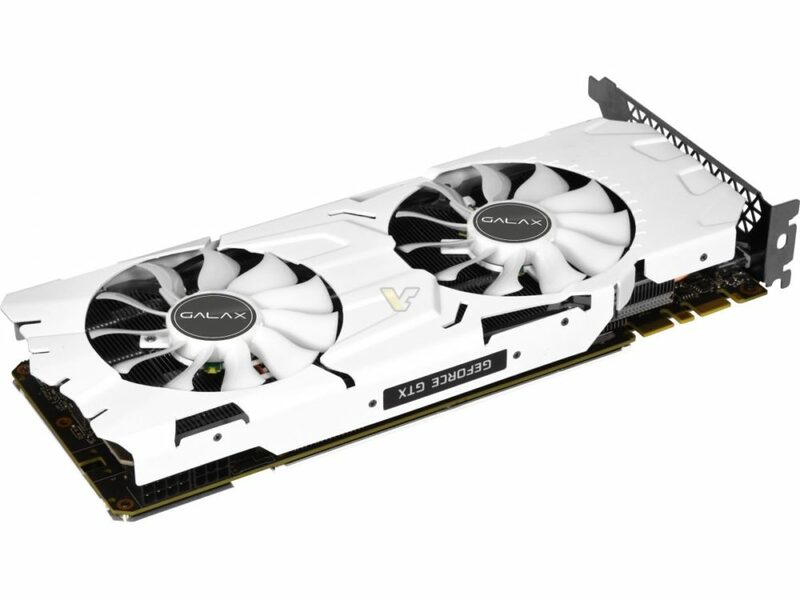 GALAX unveils its white edition of GTX 1080 TI EXOC series. 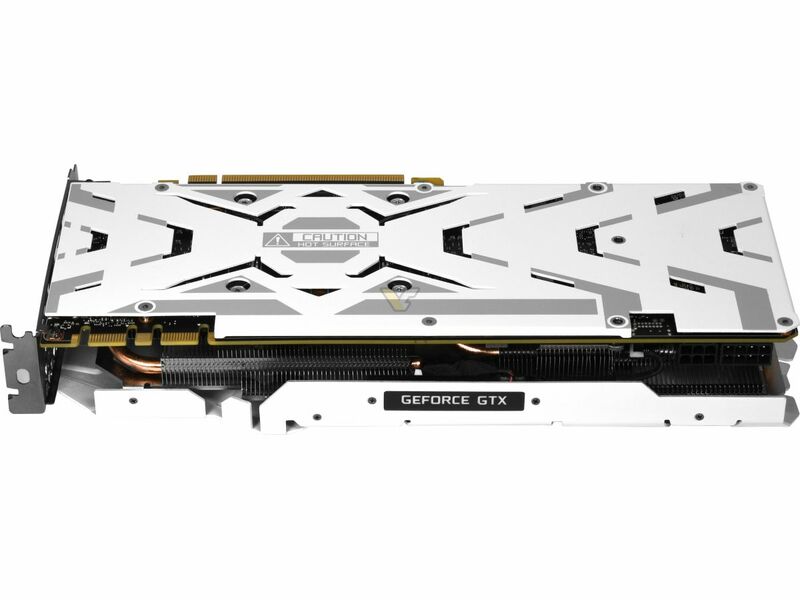 The white edition of their EXOC series from KFA2 and GALAX is identical to GTX 1080 TI EXOC Black Edition in terms of design and specs, the only difference is the new color of the shroud. 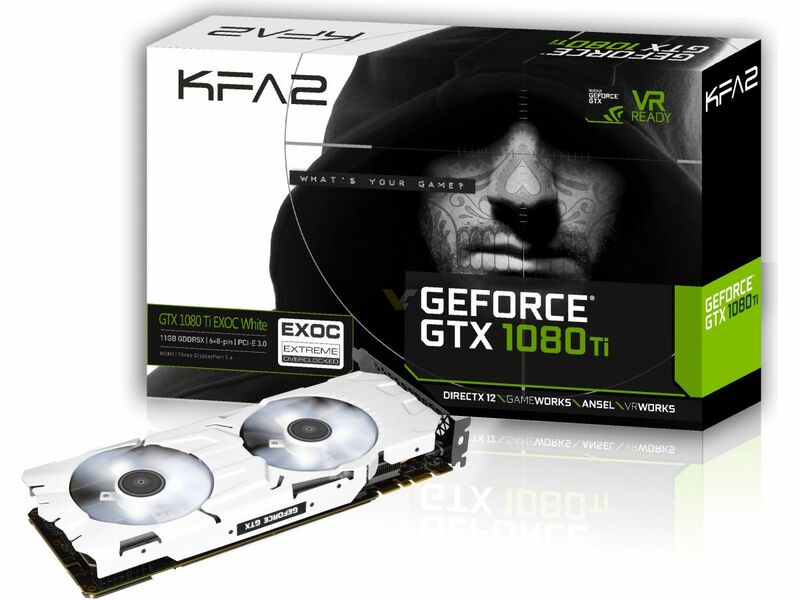 The EXOC series feature custom dual-fan cooling solution with some LED illumination. 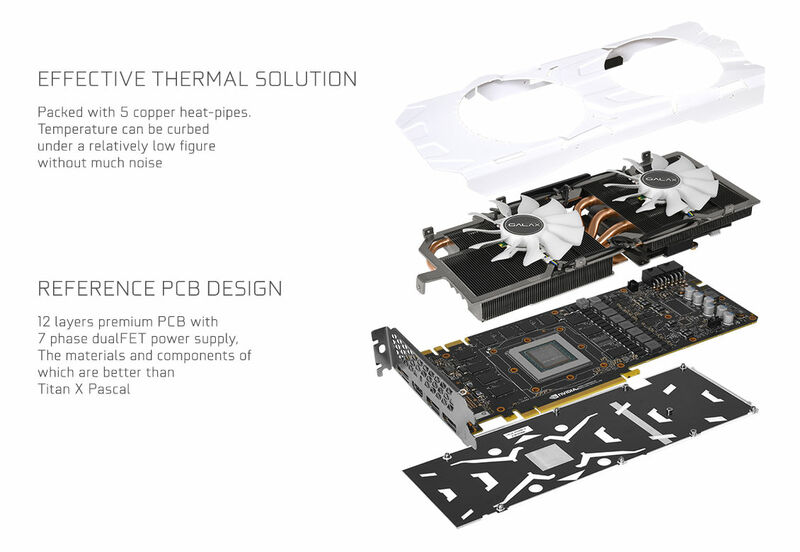 The cooler features two heat sinks with five copper heat pipes. 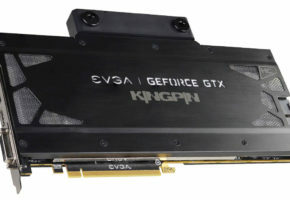 Cards are also equipped with full cover backplates. 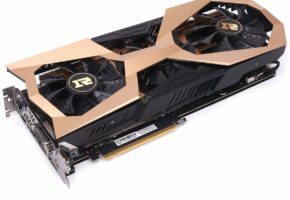 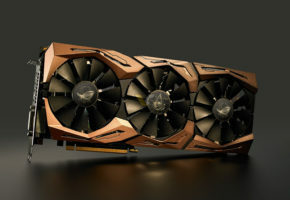 The EXOC GTX 1080 Ti series are factory-overclocked to 1531/1645 MHz, which let’s be honest is not very high, but since these cards are only using NVIDIA’reference PCB, it may not be really that surprising. 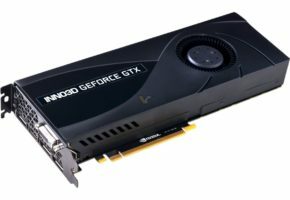 Finally, it’s also worth noting that reference board also means no DVI-D connector.